What could I possibly hope to tell you about Auschwitz-Birkenau that you have not already heard a hundred times over? I have nothing new to add to the discussion about the atrocities of the Holocaust. The combined effort of all the languages in the world falls short in the attempt to describe an era that resists definition, evades understanding. 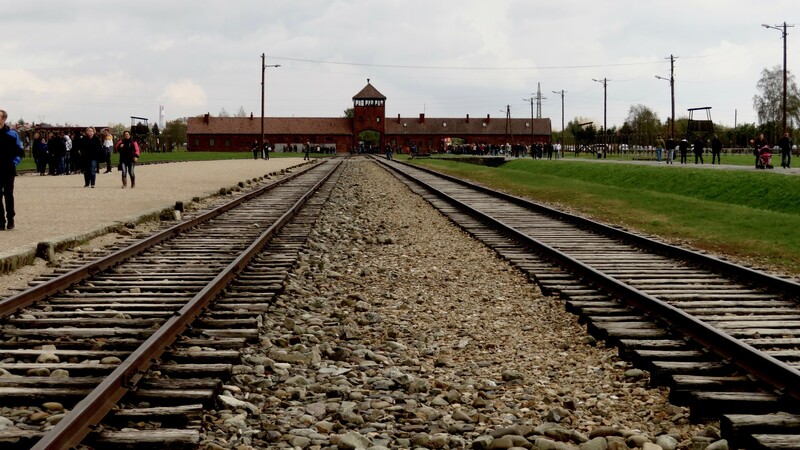 What can be said has already been said by a million people more suited to the task than I.
I do not seek to tell you anything about Auschwitz-Birkenau. I only want to tell you a story. After the six-hour guided tour, we stopped to for pizza and drinks at a café in Oświęcim to share our reactions to the camps. We were exhausted. The discussion’s first few steps faltered as people stared at each other, or at their cups, unsure of how to start. Genocide is a heavy, heavy thing to unravel. One cannot look at the tons upon tons of hair harvested from Jewish heads and speak casually about it after. One must first share how cold one’s feet grew, or how one’s head hurt after those six hours. Then, slowly, one can stop skirting the topic at hand. Haltingly, people shared what they found especially gruesome, what shocked them the most. To my surprise, I was unable to speak. I will tell you now what that I could not before. The day before, we had gone to the Galicia Jewish Museum in Krakow’s old Kazimierz district. Established in 2004 by a photojournalist named Chris Schwarz, the museum seeks not only to commemorate the lives lost during Shoah, but also to educate the public about Jewish history. 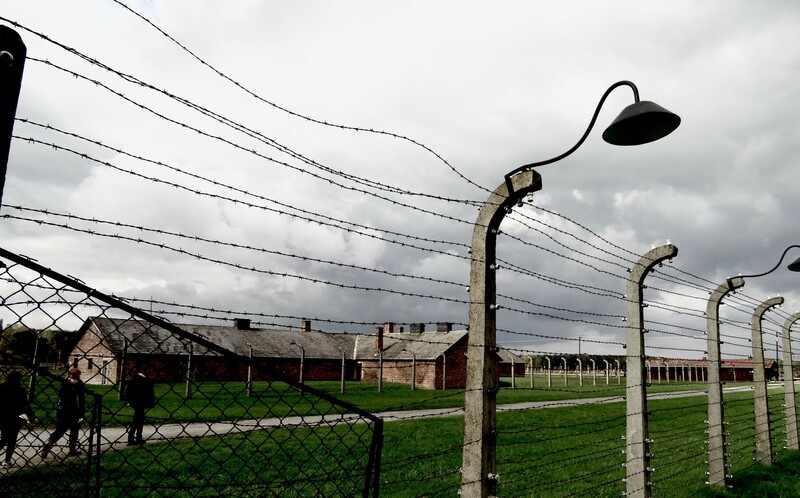 In their interpretation of the horrors of Shoah, people tend to reduce Jews to victims of the Holocaust, and their history to Auschwitz-Birkenau. 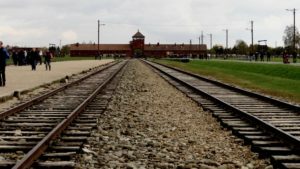 While the Holocaust and the camps are a devastating chapter in Jewish history, the Jews are an ancient people whose history predates the formation of Poland, and continues to evolve in the present day. It is an appropriately multi-layered approach to a multi-layered problem, told specifically through the lens of Galicia, a region that spans parts of both present-day Poland and Ukraine. Nestled in a corner is a beautifully composed picture of a sunny forest scene. It shows the mass grave for 800 Jewish children near the village of Zblitowska Góra. SS soldiers descended upon a Jewish orphanage and rounded up its wards, marched them to beyond the safety of the forests, and into this meadow. War was reaching its third year, and ammunition was dear. The officers demonstrated their enormous capacity to economy, and saved their bullets. Each child was terminated with a rock to the skull. 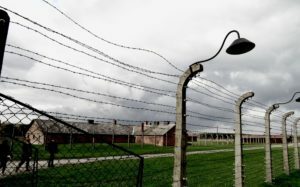 There was an exhibit in Auschwitz- calling it a museum seems sacrilegious- with survivor testimony. A single bench spanned the length of the room, slicing the space in half. Before it three screens played testimonies. One was from a girl whose diary was published years after she perished in Auschwitz-Birkenau. They rounded them all up, sent them marching to a clearing. An SS officer tore a baby from its screaming, pleading, sobbing mother. The officer threw the child against a tree. The brains splattered the wood. A horrific, wet sound. The mother went crazy. In the Summer of 2015, I met a gypsy girl. She refused to be identified as Roma or Sinti, naming herself gitane, French for “gypsy”. I think of her as Annika, because I never knew her real name. Annika told me some men had come in the night and they had bashed in the head of her beautiful baby boy. “Who were they?” I asked her. Annika shook her head, either as a gesture of incomprehension, or as one of helplessness. She kept talking, but her French began to break down and she began to jabber in a language I did not understand. She grew increasingly agitated, pulling at her hair and screaming. I have never seen a woman lose her mind, and I wanted to hold her, comfort her. Another, much less noble, side of me wanted to turn my head away and leave Annika to her messy agony. I thought about eight hundred Annika’s screaming as their babies’ brains dripped from trees and rocks. Except then I got to thinking that those eight hundred children had no mothers to scream for them. That was enough to lodge a lump too big to talk around in my throat. So, I sat with my hands over my face and waited for Annika’s voice to stop its thundering in this lucky skull of mine.